This isn’t just a matter of personal taste. Every suggestion I make is with the intent to improve the perceived quality/value of your products through the eyes of your customers. Are they subjective and biased? Of course. But I do my best to always always look from the point of view of the customer. • It’s fake fabric. Why would you print a label on fake fabric? Labels are printed on paper. What’s wrong with paper labels? There’s nothing fake about your products. They are real, traditionally made and authentic through and through. I can’t understand the need to make one perfectly-acceptable material to look like something else (Don’t get me started on particle-board-and-veneer furniture). 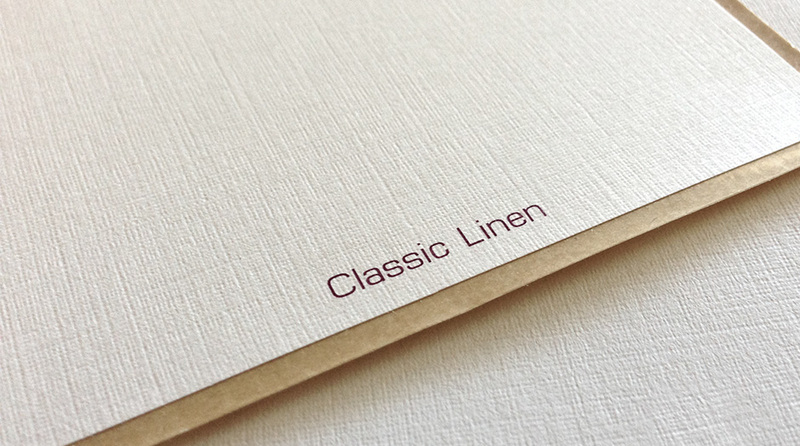 That linen texture is an artificially imparted emboss applied via steel rollers. Paper has it’s own inherently beautiful textures of wood fibers and pulp which occur as a natural part of the process of making paper. • Ink doesn’t lay on linen very well. It consistently scuffs more easily than other textured papers. I’ve seen many examples of this. And when it does scuff, the altogether unnatural criss-cross grid texture/pattern is very visible and distracting. It’s a strong pattern and your eye is much more drawn to it than the random “noise” of felt or other more natural textures. • The pattern is all too familiar, and none of the things it reminds me of are very appealing: a tiled digital background image from Windows 98, grandma’s wallpaper form the 1950s, and this pattern is exactly the same texture as you’d see on one of those ugly, floral-print, oilcloth tablecloths. Finally, it looks almost exactly like the textured vinyl headliner in an old Volkswagen. Great cars, but not an association I’d like to make with a premium, hand-crafted spirit. • Precedent. There are so many cheap, bottom shelf wines printed on linen, it’s come to represent the lower-class of beverages in my mind. You wouldn’t be in good company. It’s an old-fashioned go-to stock for wine-makers who – I get the distinct feeling – haven’t really bothered to carefully consider any other options in over 30 years. So I don’t mean “golden era” old fashioned – more like 1970s.